Showing 26 articles from March 1, 2016. 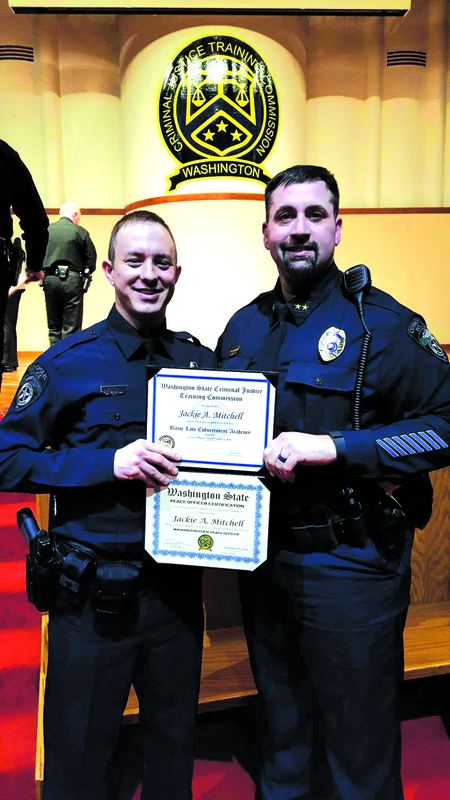 On Wednesday, February 17, 2016 at approximately 1544 hours, Hoquiam officers were dispatched to a two-vehicle collision in the 2500 block of Aberdeen Avenue. It was reported a car had crashed into a parked van and was partially blocking the roadway. 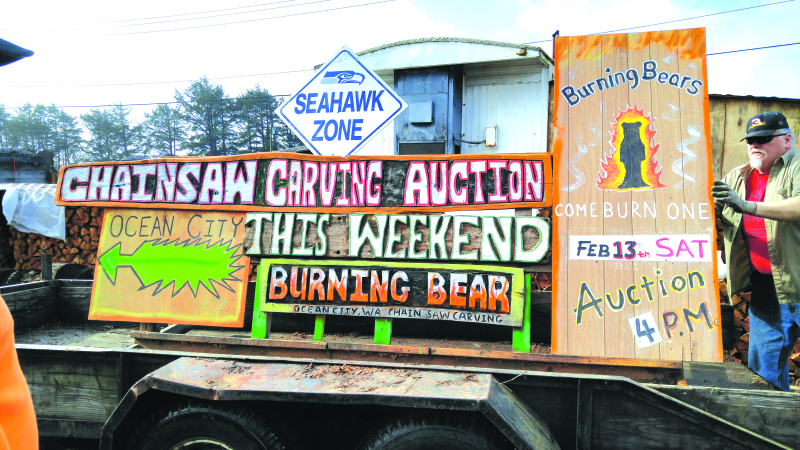 This year's annual Burning Bear sign made by Thor, Joseph Felkey, and Daniel Sassaman. The Burning Bears Festival takes place each year at Ocean City Marketplace. This year the event took place from Friday February 12 to Sunday. Sometime around February 8 the Grays Harbor Buoy 14 was struck just north of Westport, but went unreported. The buoy quickly changed from a navigational aid to a navigational hazard, after the buoy sunk to the bottom of the harbor. Local furniture store Kaufman Scroggs, a business that has catered to the downtown of Aberdeen for over 100 years is set to close in the upcoming months. Owner Pete Scroggs confirmed the closure, blaming a decline in sales for the past few years. At 9:20 am February 16, traffic slowed to a stop on Hwy 101 at milepost 72 when an accident left a log truck on its side. On Tuesday, May 24 2016 the Bank of America financial center located at 101 East Market Street, Aberdeen is closing. Primo in his Toledo jacket. 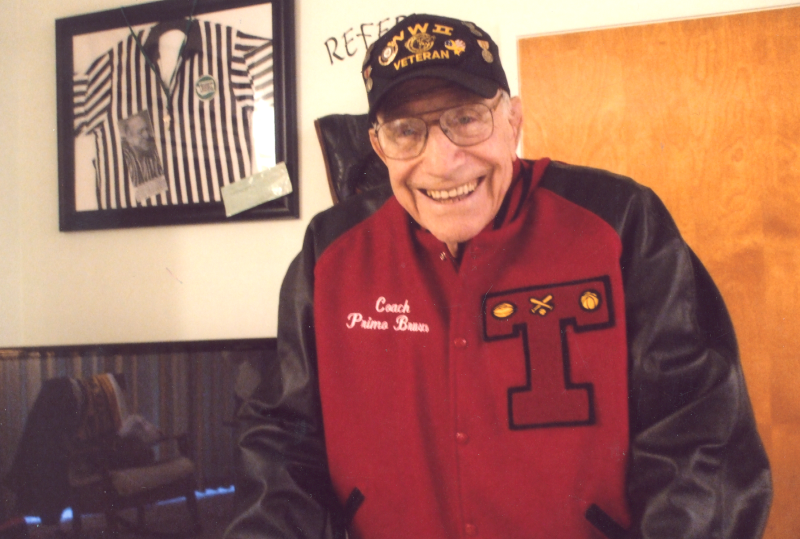 Francis "Primo" Brusco (93) passed away on January 14, 2016 at the Hospice Care Center in Longview. Toledo - Located on 108 Ramsey Way, Owner Jack LeDuc invites everyone to his family restaurant called Harry's Place. Harry's Place offers a great location to take the family for a night of dining and entertainment. Toledo - Once all the Toledo City Council members were seated, Mayor Steve Dobosh called the Council meeting to order. On this night Councilman Greg Morosoff led the City Council in their Pledge of Allegiance. Following the pledge the Council had a short time before the Public Hearing so they agreed to let the Special Presentation start. Prior to the meeting on February 22 the Winlock City Council had come together for a workshop on "Public Officials Liability/Creating Balance." Following this workshop the Council prepared for their City Council meeting at 6:30. 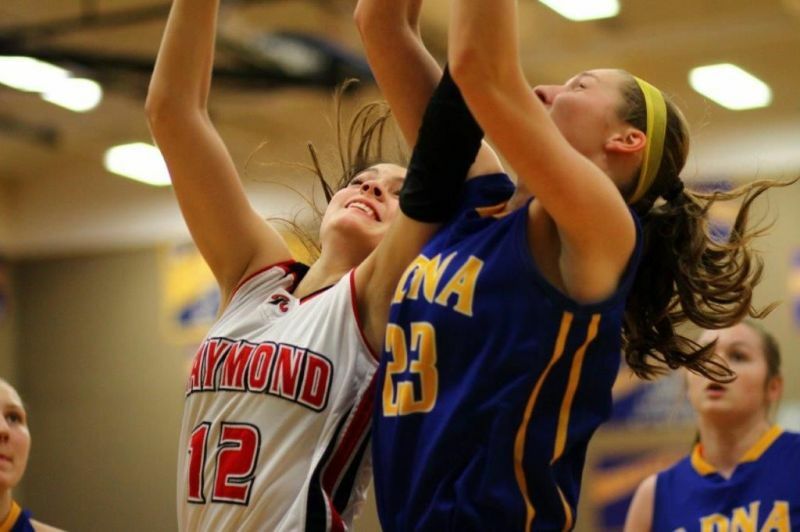 In the Lewis County area many teenagers are having a difficult time finding jobs. Fast food and diner style restaurants, grocery stores, and retail stores often hire teens. In these jobs teens obtain necessary experience for their future. Photo by Kennedi Collins - Winlock Students and families come together in the Winlock Miller Elementary School for Reading Night. Known locally for his great sales and kindness to his customers, Royce's has now extended from just groceries but he now also has added a gift shop and movie section to his shop. Chehalis - A sellout crowd of 200 packed the Veterans Memorial Museum in Chehalis for Saturday night's bluegrass concert featuring Portland-based group Whiskey Deaf and award-winning fiddler-singer Annie Staninec. Following the official Call to Order, Roll Call, and Pledge of Allegiance, the Vader City Council quickly moved into their agenda for that night's City Council Meeting. Photo by Kennedi Collins - Monday February 22, the Winlock Egg was removed for cleaning and maintenance. First a brave soul had to wrap a chain around the egg. The Winlock Improvement Network is a group consisting of many Winlock citizens from various groups and organizations in the town. City council members, Lions and Lioness Club members, police officers, and various other clubs, groups, and organization are represented. The Pacific County PUD #2 met on Tuesday, February 16 for their regular bi-monthly meeting. This meeting was held at the Peninsula Operations Center in Long Beach, and the commissioners started the meeting with the pledge of allegiance. 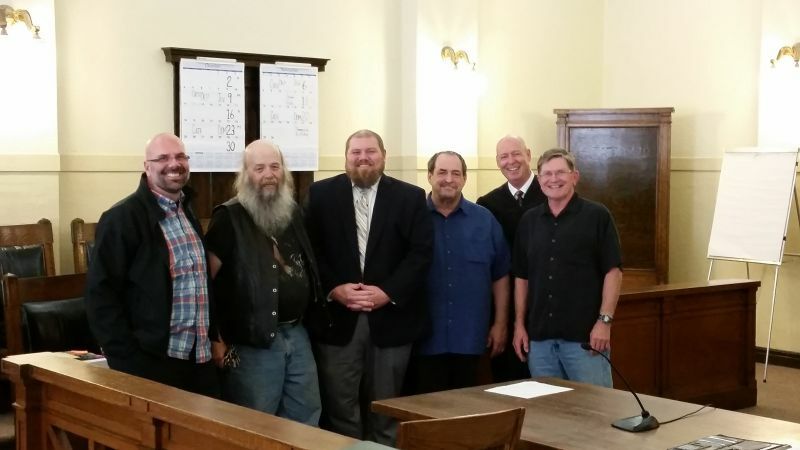 Ted Berardinelli recently graduated from Pacific County Drug Court. The South Bend City Council met for their regular bi-monthly meeting on the night of Monday, February 22 and called the meeting to order after the pledge of allegiance was said. 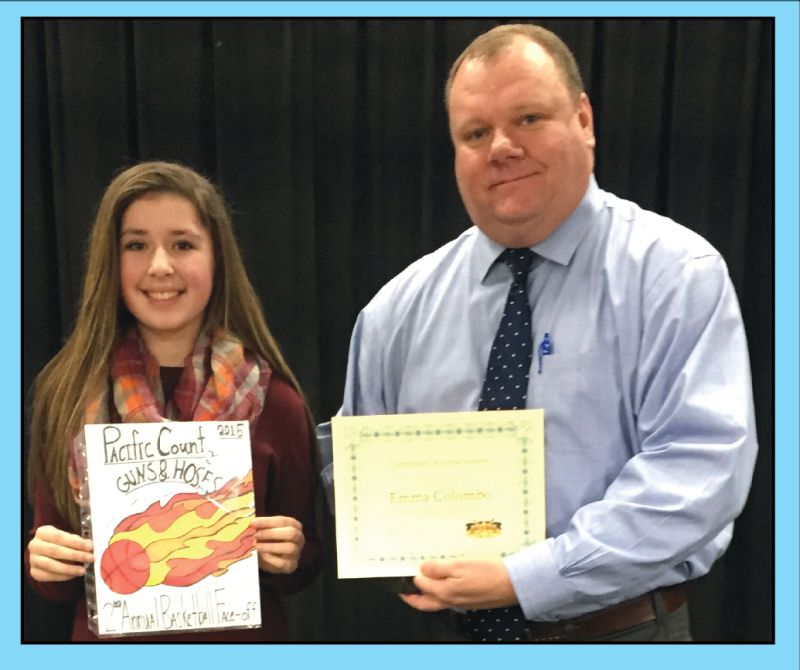 Emma Colombo's design won the Guns and Hoses basketball contest. Pacific County Prosecutor Mark McClain present Colombo with the award certificate, $100 and tickets to the game. See page 6 for the complete story. Nathan Hayes, 37, of Raymond, was sentenced to a year in prison for possession of methamphetamine. The sentencing took place in Pacific County Superior Court Friday afternoon. Photo by Patrick L. Myers - Students Ben Byington and Michael Oropeza get to work watering their vegetables. There has been a push from society to get vocational practices back into the school system, so that kids can learn how to be self-sustaining and be able to provide for themselves, as well as tangibly enact the concepts that they learn in the classroom. South Bend High School has taken a step in the right direction with the implementation of their Horticulture Class as of the 2015-2016 school year.